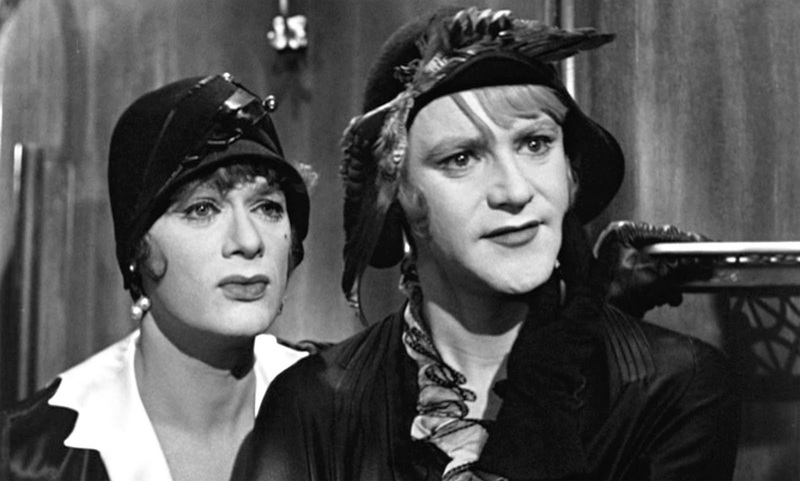 SOME LIKE IT HOT hasn’t dated a bit since 1959, when it convulsed and titillated audiences, slayed critics and made prudes and censors sputter out their frustration at pulpit and garden club. 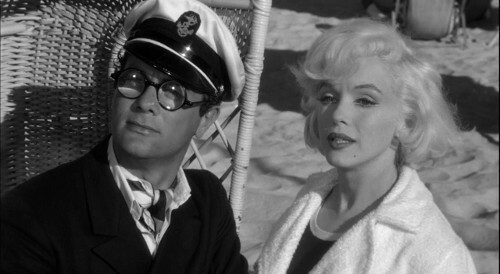 Director Billy Wilder and his writer pal (fellow demon) I.A.L. Diamond pushed naughtiness as far as they could get away with in double entendres, cross-dressing, peekaboo costumes and satirizing of conventional morality. 1929, Chicago. Two unemployed musicians accidentally witness The St. Valentines Day Massacre and hide out—in drag—with a girls band headed to Florida. 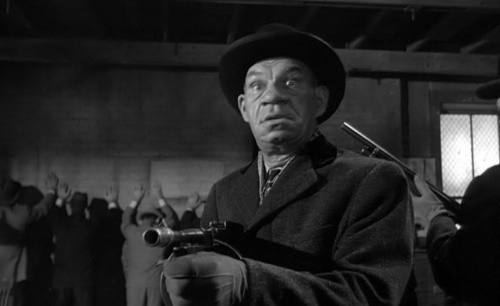 That it holds up so well almost six decades later is a testament to the skills of all involved, from the sleek look of Charles Lang’s b&w cinematography, the costumes, editing and sound, the music, the blizzard of wit, the perfect casting. 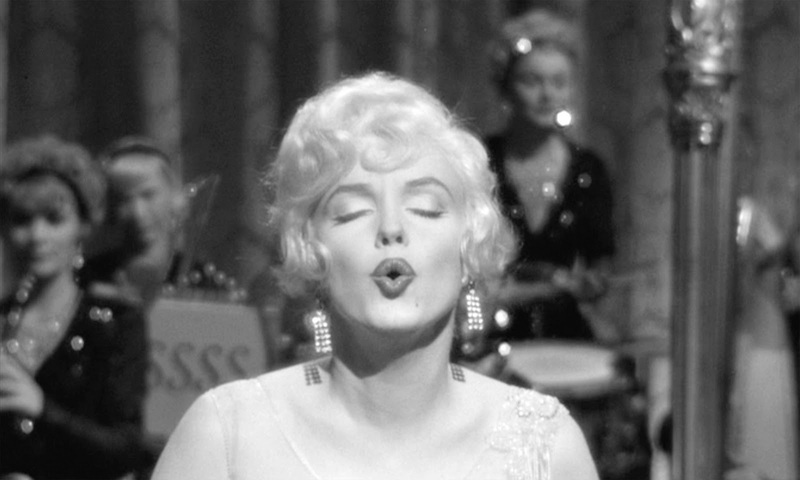 Marilyn Monroe: impossible to work with, impeccable results. Tony Curtis: on a helluva roll—Sweet Smell Of Success, The Defiant Ones—putting to rest he was lightweight. His Cary Grant send up is priceless. 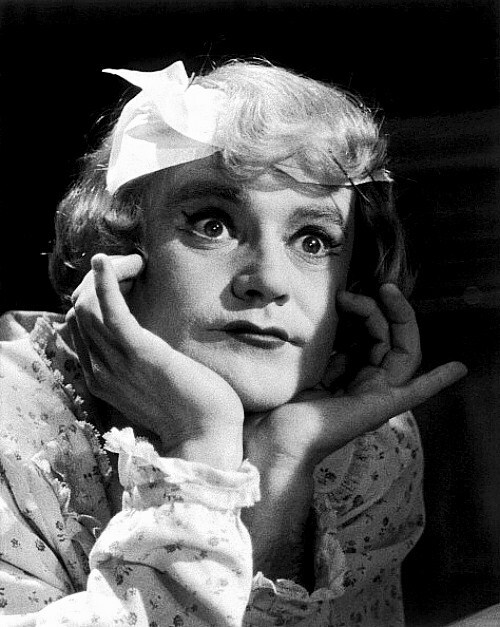 Jack Lemmon: what can you say—except ‘Daphne’. It’s as good a comic role as ever came down the pike. 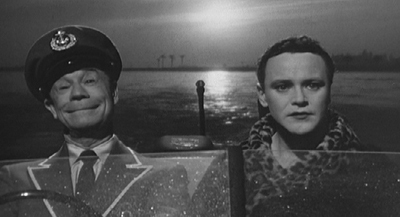 George Raft, Joe E. Brown (ha! 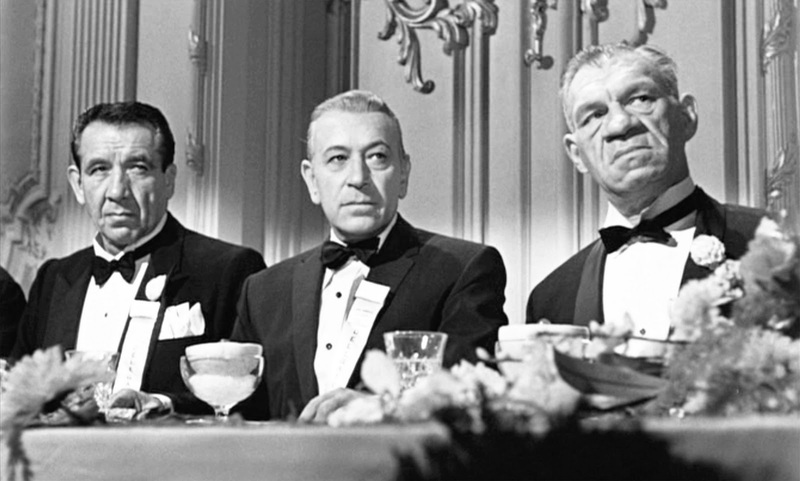 ), Pat O’Brien all score, and Raft’s gunsels—Mike Mazurki and George E. Stone— are irreplaceable. It was the 3rd biggest hit of the year, raking in $23,230,000; if you adjust for inflation it took in what would now be $326,000,000. The biggest hit ever for both Monroe and Lemmon (Curtis topped out a year later with Spartacus). 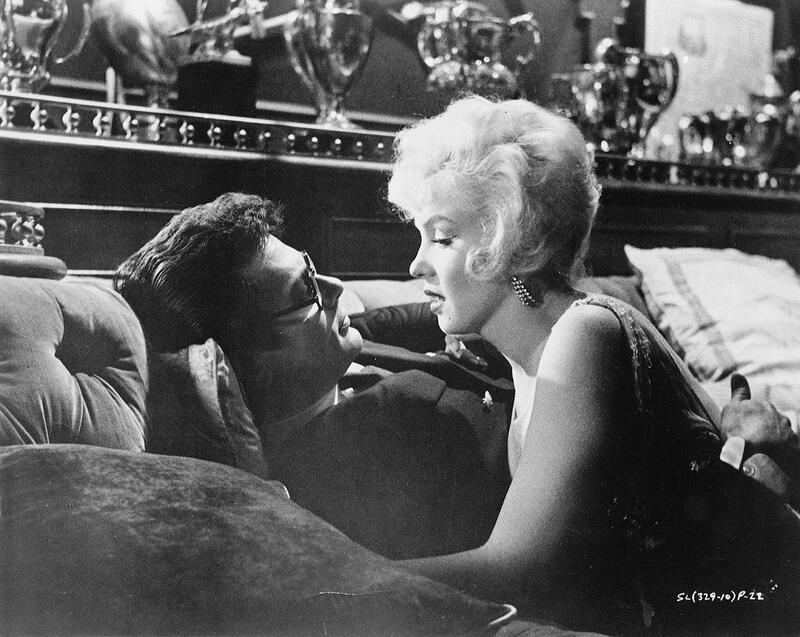 Monroe was late 29 times, called in sick 13 days, drank constantly, couldn’t remember her lines for more than minute or two, required as many as 40 takes and almost drove Wilder to a nervous breakdown (I wonder if he warned John Huston later?). She didn’t even get invited to the wrap party because everyone was so fed up. You’d never know it onscreen. She deserved the year’s top femme prize—it went to Simone Signoret for Room At The Top. How those dresses were painted on her is a triumph both of designer Orry-Kelly and Wilder’s just-enough-peek cutting. MMs sexiness is as obvious as the sun, but it’s her comic sense that sells the part. I love it when she replies to Curtis (desperately rigging a seduction) and his story about the love of his life walking off a cliff because she took off her glasses: “Talk about sad.” As she steams up Tony’s specs, she confides that she learned her kissing skills securing donations for the Milk Fund. 122 minutes, with Nehemiah Persoff and Joan Shawlee.